Social network is a structure in which nodes are a set of social actors that are connected together by different types of relationships. Because of the complexity of the actors and the relationships between actors, social networks are always represented by weighted, labeled and directed graph. Social network analysis (NSA) is a set of techniques for determining and measuring the magnitude of the pressure. Social network analysis is focused also on visualization techniques for exploring the networks structure. It has gained a significant following in many fields of applications. 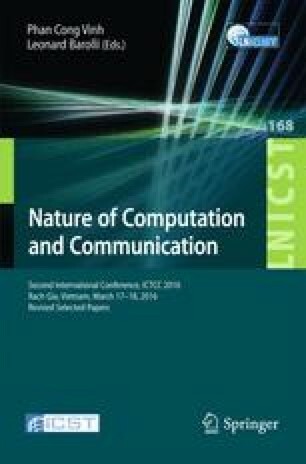 It has been used to examine how the problems have been solved, how organizations interact with others, to understand the role of an individual in an organization… In this paper, we focus on two methods: 1- graphs visualization; 2- network analysis based on graph vertices comparison.